AQ Homecoming 2012 is a Zero Waste Event. 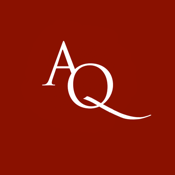 To that end, Aquinas College is proud to bring you the AQ Homecoming App, developed by MichiganLabs.com, a local Grand Rapids App development company. View the schedule, download maps, receive Twitter updates, check in using foursquare and facebook, and at the end of the day, take our survey. Have a great Homecoming!